Happy Wednesday everyone! Today I'm showcasing the beautiful paper flowers from I Am Roses with this gorgeous girl from Conie Fong called Susie Snowflake. I used teal and pink for my color combo and LOVE it! 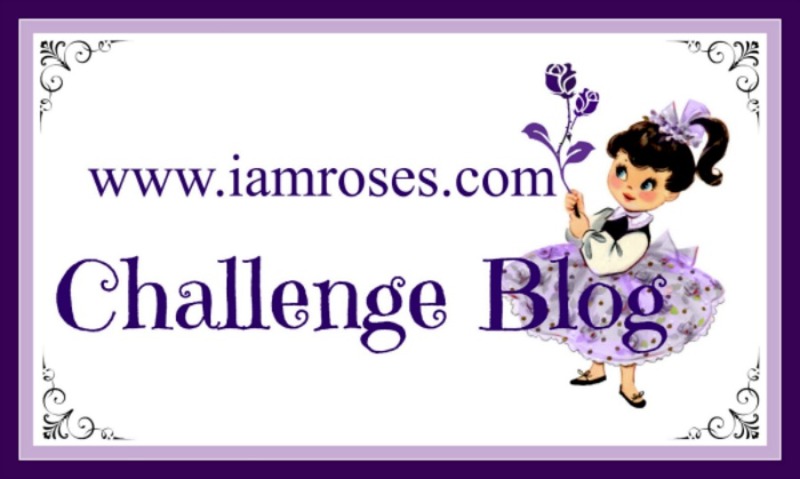 Now, don't forget to come play along with our current IAR Challenge using flowers from the IAR STORE (just click on the challenge link on the side bar to get to the current challenge). 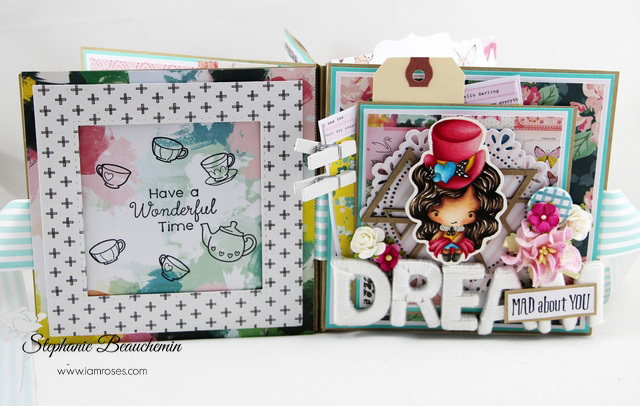 You have until FEBRUARY 8th to link up your project, but remember you must use at least 2 items from I Am Roses. There are 4 prizes to be won so I hope you join us!! 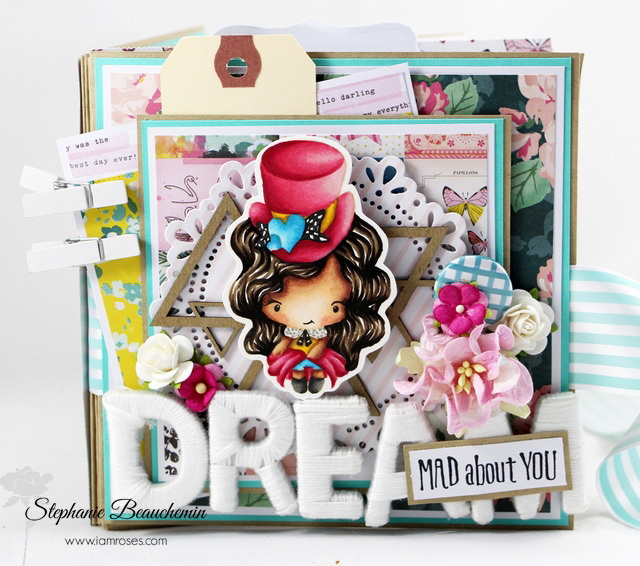 Stephanie with you today for another inspirational post using the gorgeous flowers at I Am Roses! 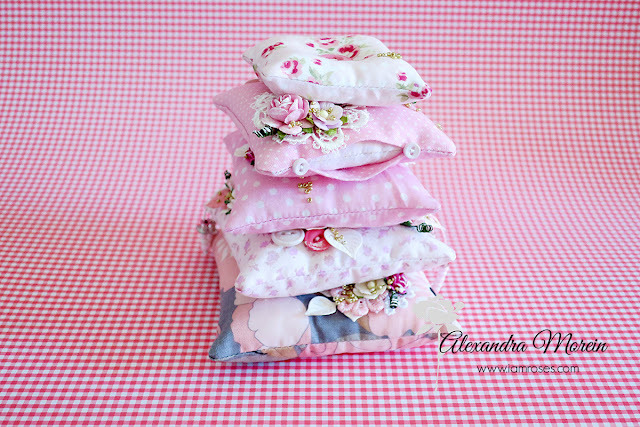 And why not pair them with a fabulous project! And the project I'm showing you today is nowhere near small... 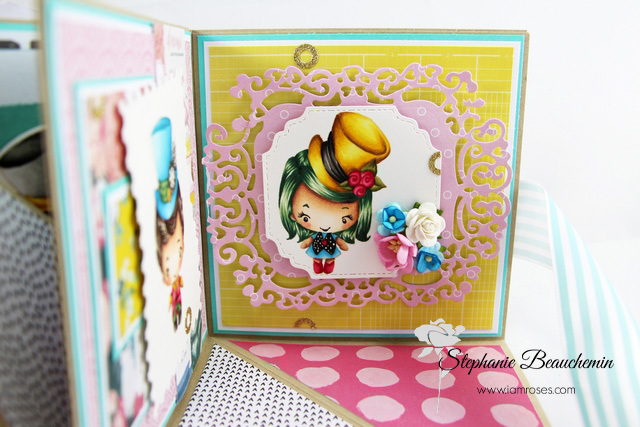 I mean, we were all completely mad with the Mad Hatter exclusive kit from The Greeting Farm, right?! I couldn't help it, when I first saw this kit a few months ago, I went completely crazy and had to do something special with it, Alice in Wonderland being one of my favourite tales of all times. I just love how whimsical the characters look with their hats and fancy outfits. And since I wanted to use them all into one project, I went with a mini-album concept that folds and unfolds panels, creating little "scenes" for each one. It closes with a very large ribbon, so that there'd be "space" for every scene to have a bit of dimension, such as the beautiful flowers :-). I hope you liked this kind of projects! If you haven't tried I Am Roses, you really need to!! and their shipping is fantastic!! Welcome to our January IAR Challenge. Happy 2018! This is our first challenge of the year. It's time to start fresh and anew. Thank you for joining us for another year! If you are new to our Blog, Hello! There are four prizes to be won and all you have to do is share your creations using I Am Roses flowers to enter. Alexandra is here today with some I Am Roses inspiration. 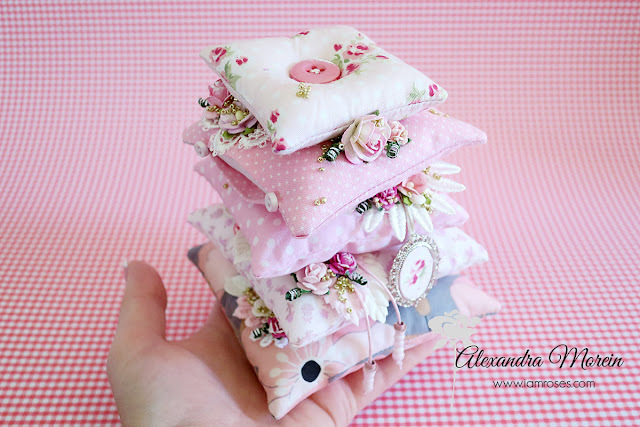 A while ago I came across an Instagram account of a very talented crafter. She creates the most gorgeous sewing projects, and so inspiring too! I am not a sewer, no! 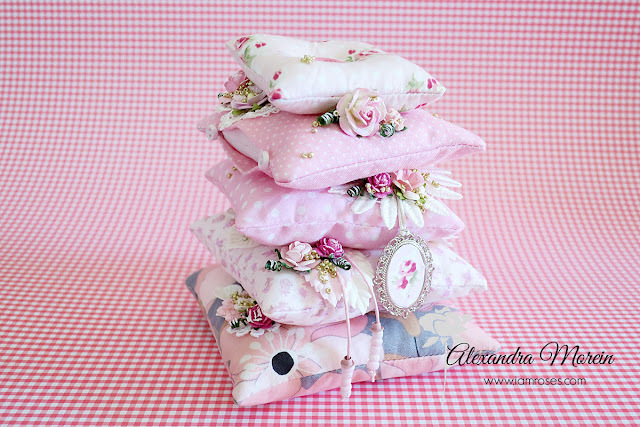 But I saw a really cute pile of pillows on Irina's Instagram and thought that I could make myself something similar, to put on a bookshelf in the studio. 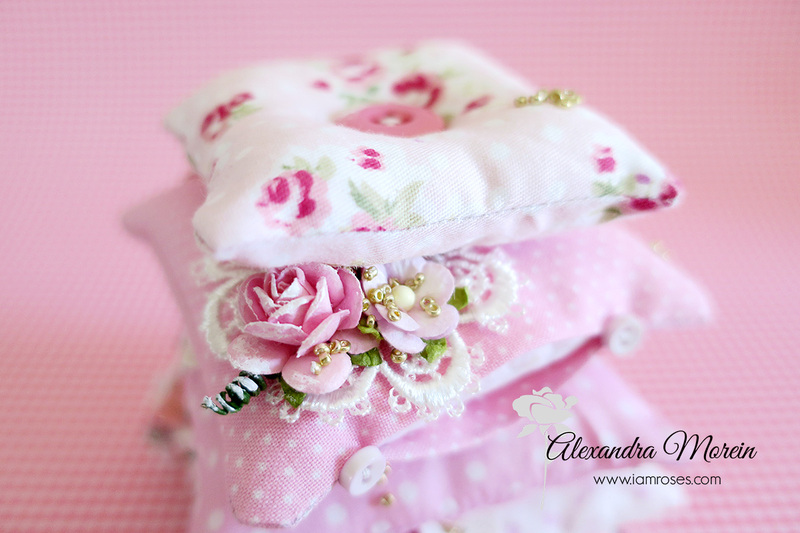 So don't judge too harsh, here is my pile of miniature pillows, embellished with the I Am Roses flowers. 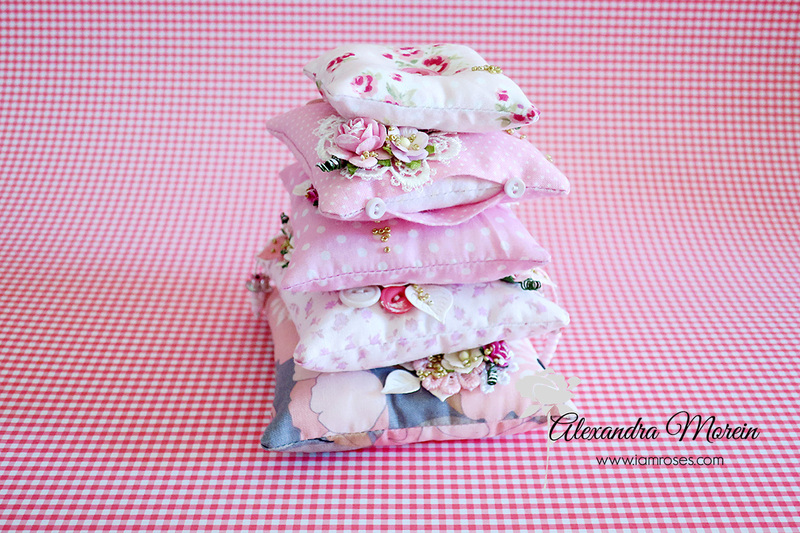 The largest pillow is a 4.5" square, while the smallest is 2 3/4". Thanks for watching and a great day! Exhibition "GIFTS EXPO. 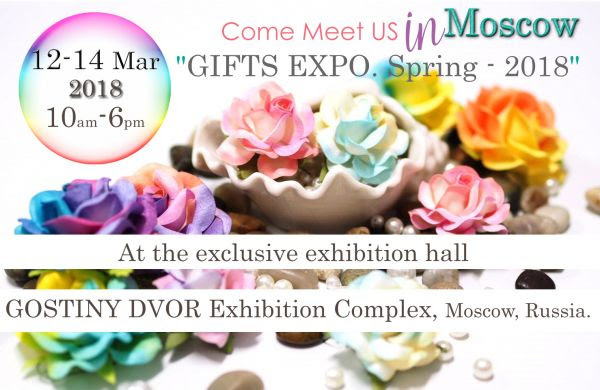 Spring - 2018"
GOSTINY DVOR Exhibition Complex, Moscow, Russia. 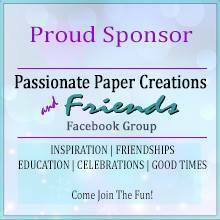 Come meet us and check out the real products. Join the Lucky Draws for free gifts and gift vouchers. Hi! 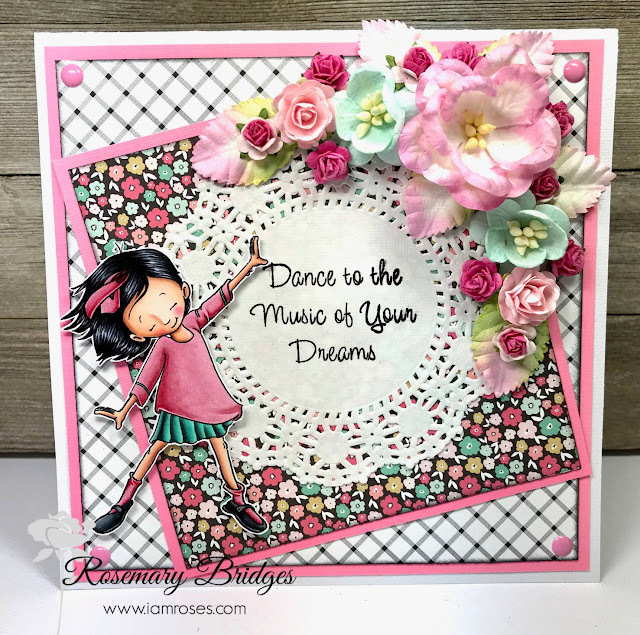 Today I'm sharing with you a card I made for I am roses design team. 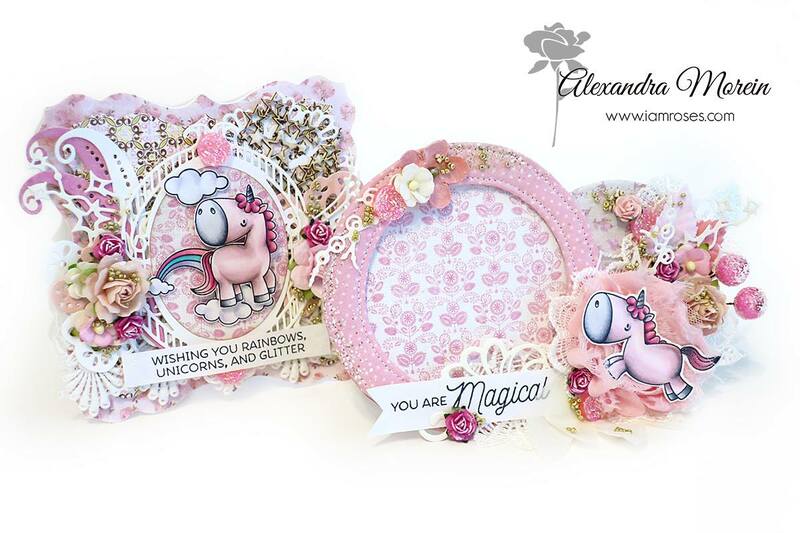 Fot this card I chose a masquerade theme (pink-white/black). Image is brand new, I don't even know the name of it yet. Image was coloured using Distress ink pads. Happy New Year!! We hope that everyone had a safe and wonderful holiday with your loved ones. 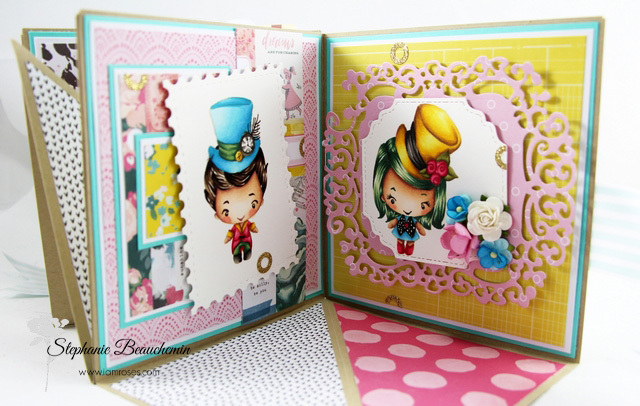 Thank you so much to all those who hopped with us in our IAR "Merry & Bright" Blog Hop! 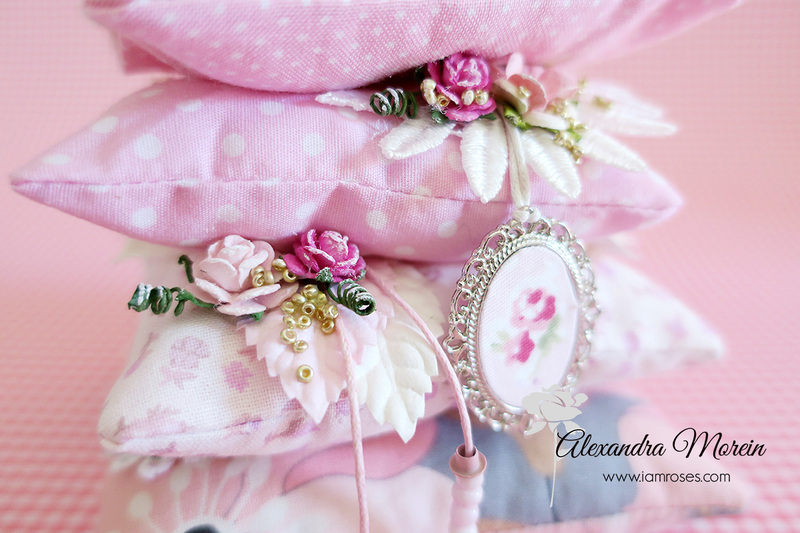 We hope that you all enjoyed the creations by our Design Team and Guest Designer. It's time to announce the Winners! Beginning with the (2) Winners of the $50 Voucher! 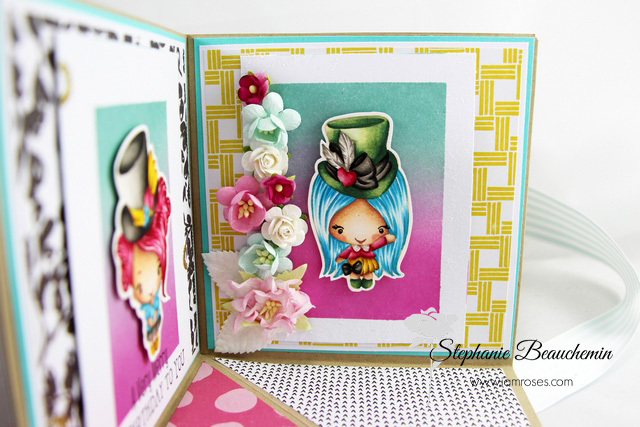 One $50 Voucher prize was hidden in Design Team Member Stephanie Beauchemin's Blog! 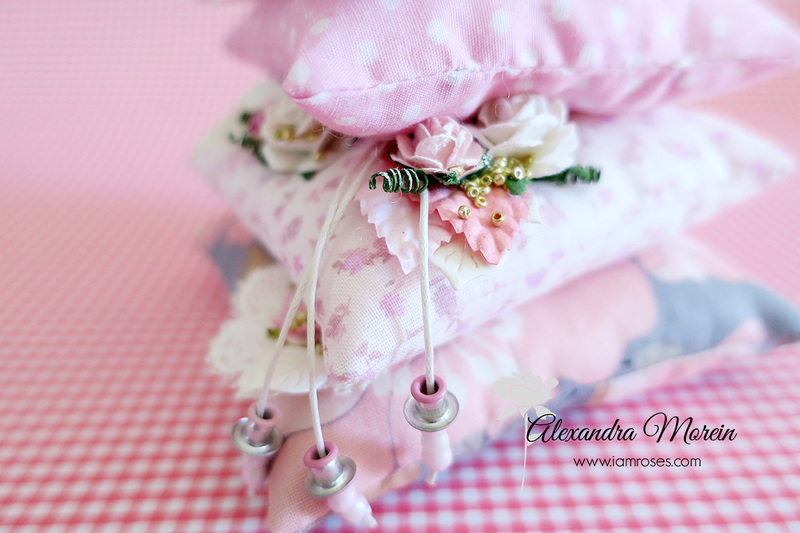 The second $50 Voucher prize was hidden in Guest Designer Svetlana Lipnitskaya's Blog! 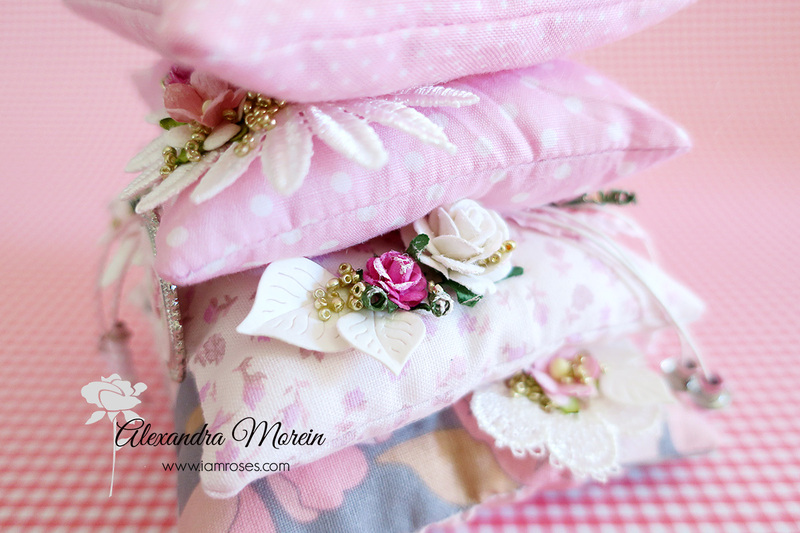 The Grand Prize $100 Voucher was hidden in Design Team Member Rosemary Bridges' Blog! CONGRATULATIONS!! 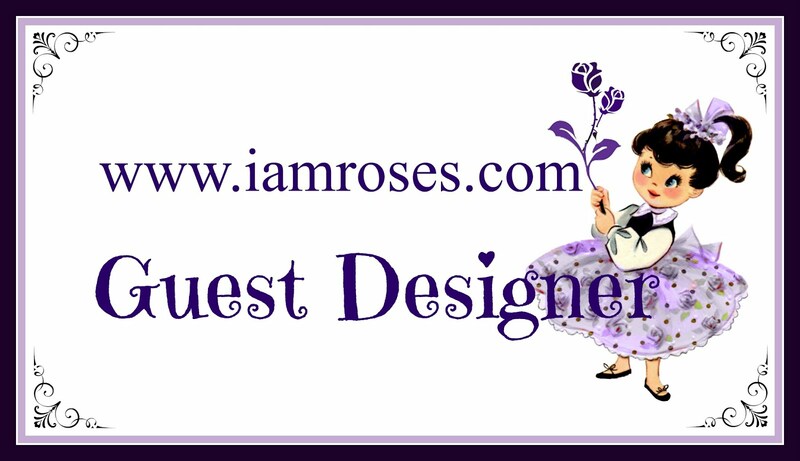 Please email I Am Roses with your contact information at iamrosesdt[at]hotmail[dot]com. A special voucher code will be given. Also grab your WINNER Badge up top in the IAR BADGES tab. 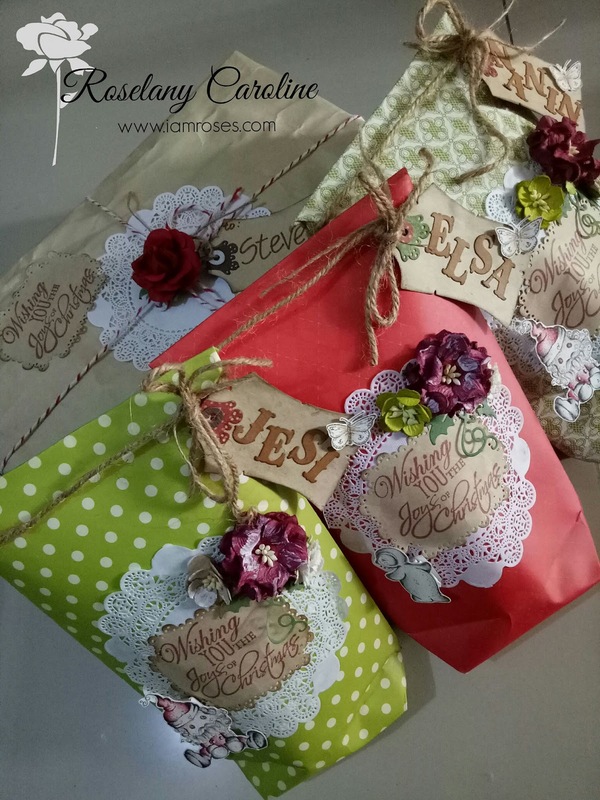 Please visit our Designers' blogs for more wonderful projects using I Am Roses flowers. 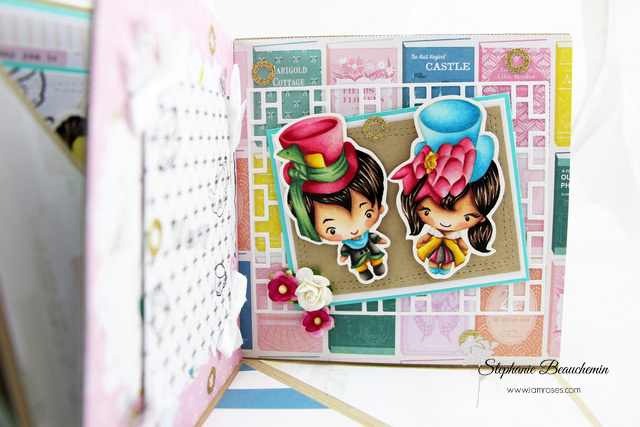 Thank you so much to everyone who has participated in our Blog Hop! If you missed out on winning this time, we start our first IAR Challenge of the year on January 15th. 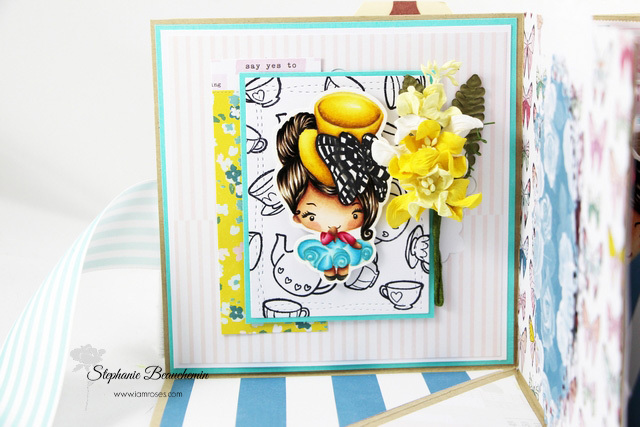 Come back and enter your IAR creations for a chance to win awesome prizes!